James Barlow, the industrialist and philanthropist who funded the first National Children's Home in Edgworth, was also a trustee of Chadwick's Orphanage, also known as The Chadwick Orphanage. 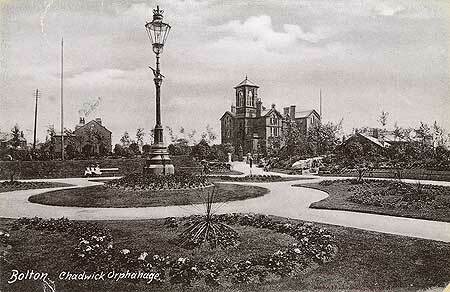 as a New Year's gift to the town in 1868, had given £17,000 specifically for building the orphanage. 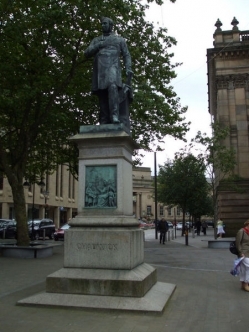 A statue of Dr Chadwick still stands in Victoria Square, Bolton (pictured right). The Orphanage continued to function until at least 1930. The building was demolished in 1963. If you have any information about, or memories of, this orpahange, we'd love to hear from you. Please email or complete this short form. Bolton Archives and Local Studies holds some records, not all of which can be mde available to the public.